Mountain Dew has launched a "singles only" label called Green Label Sound today. 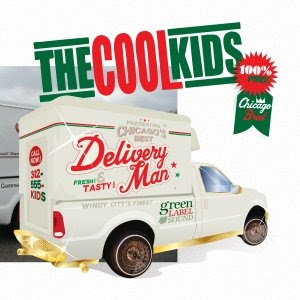 You can download The Cool Kids' Delivery Man track for free by clicking here where you can check what else GLS has in store. Should be interesting to see how this develops. The Cool Kids chime in with their involvement with MD's online initiative. "We entered into the Green Label Sound program because we saw it as an opportunity to put a song out to the whole world with the backing of something that everyone grew up on," said Chuck Inglish of The Cool Kids. "Mountain Dew is not trying to push their product through music like everyone else; they just wanna support music. ... And with us tying to set up our new record without a record company, Mountain Dew gives us an unexpected helping hand to get up those steps." Mikey Rocks of The Cool Kids added this. "Green Label Sound is giving artists like ourselves an opportunity to get to a different scale than we were previously on. The program gives us a further reach than we would've had on our own, but we still get to keep the same creative independence that we like to have."